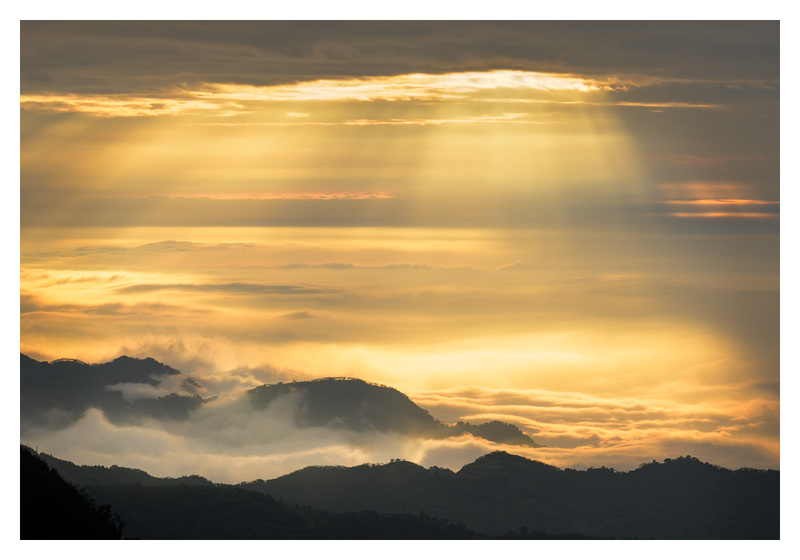 Alishan is a beautiful mountain area in the centre of Taiwan. The highest peaks are around 2600 meter. The most interesting things for landscape photography are the stunning mountain views with if you are lucky cloud inversions. Also have beautiful old forests many times in fog. Alishan is also in summertime a good place to go, beacause of the higher altitude the temperature are much more nice here. In summertime it's also a good place for astrophotography. Already there you have great views over the mountains, just on walking distance from your hotel/B&B. Nightview just from the terrace of our B&B. 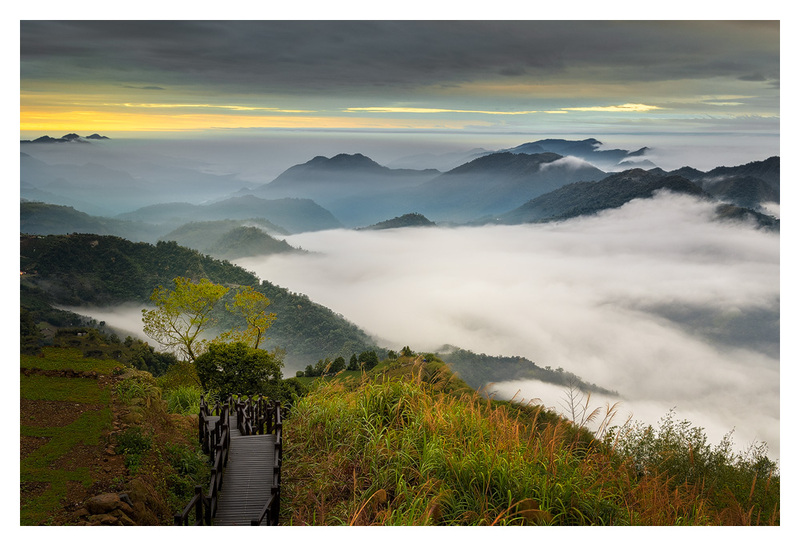 The most famous place is Alishan national forest recreation area. Here you can go to in the early morning for a sunrise shoot, but beware of a lot of other tourists. For me it is the reason not to go there. For sunrise there is more choice to go. The park is a good place to go for forest photography. This i a old forest on a altitude of 2400 mtr with huge cypress tree's more then 2000 year old. There are a few hiking trails through the forest, and if the clouds roll in to the mountains it's really like a fairytale there. From our place were we sleep it's a 40 min drive. Another beautiful place to go is Xiding. Here you have also beautiful view's over the mountains. At sunset you have the sun straight in front of you, but also in the morning you can take very good pictures, special in wintertime the sun position is also good for sunrise. You can drive your car straight to the place where you can take photo's, so good for the more lazy people LOL. In Alishan you can use al kind of lenses, but also don't forget to use a little bit your telezoom to capture the beautiful details from the mountains. Detail shot with the 70-200 from Xiding at sunrise. A wider view from Xiding at sunrise.